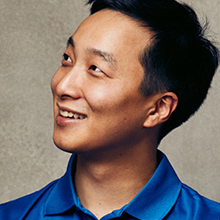 Hansol Hong, is CEO and Co-founder of Robolink. Hansol and Robolink has taught thousands of students how to build robots and program drones. Hansol also ran two successful Kickstarter campaigns (CoDrone, Rokit Smart). He is also an organizer for the San Diego Robotics Club with 1000+ members. Hansol graduated from UC San Diego with a B.S.in Management Science.